Pittsburgh Mayor Bill Peduto has his own prime time reality TV show. Peduto donned a wig with shoulder-length gray hair and a scraggly, long gray beard to star on an upcoming hourlong episode of the CBS Emmy-winning show “Undercover Boss.” The episode is scheduled to air 8 p.m. Dec. 21. “It will be the only chance that I ever have in my life to hear what people say about me directly to my face, but not knowing who I am,” he said Thursday. MIDDLESBORO, KY (AP) — Jamie Coots, a snake-handling Kentucky pastor who appeared on the National Geographic television reality show “Snake Salvation,” died Saturday after being bitten by a snake. “Jamie went across the floor. He had one of the rattlers in his hand, he came over and he was standing beside me. It was plain view, it just turned its head and bit him in the back of the hand … within a second,” Winn said. Lampeter-Strasburg High School graduate, James Wolpert is one the competitors on NBC’s “The Voice” and sang the heck out of Queen’s power ballad, “Somebody To Love”. A star of the hit television series “Amish Mafia” was severely beaten by her boyfriend last week in Strasburg, police allege. Imir R. Williams, 24, is charged with felony aggravated assault for repeatedly punching Esther Schmucker in the head early on Halloween morning, charging documents indicate. As of Tuesday, police were searching for Williams, listed in court documents as 6-foot-4 and 210 pounds. A felony arrest warrant was filed Sunday. It’s official: Keith Urban is returning to “American Idol” as a judge next season, Fox announced Thursday at the Television Critics Association summer press tour in Los Angeles. “I will confirm one thing: Keith is going to return to the show,” said Kevin Reilly, Fox Chairman of Entertainment, as he addressed a room full of reporters. “Keith’s a really funny guy, and I didn’t think he was able to let his full personality shine through” last season, due to the diva drama [between former judges Mariah Carey and Nicki Minaj] that overshadowed not just Urban, but also the contestants. She called herself a country girl. Growing up Amish is about as country as it gets. Anne Beiler said she never lived in a city, but in August 2011 she spent five days in one of the poorest sections of Baltimore. In a unique twist, Beiler, founder of Auntie Anne’s Pretzels, lived on Washington Street in East Baltimore —one of the most unsafe areas in the city — and worked with people and organizations in need of her help. According to the network, Ramsay and his team will visit the restaurant at 3417 Sullivan Trail Wednesday through Saturday for a sixth season episode. The show helps struggling restaurants stay in business by having the fiery Scottish chef scrutinize their inner workings and suggest methods of improvement. Ramsay diagnoses problems such as bad food, unsanitary practices, mismanagement and lazy or rude wait staff. It’s up to the restaurant owners to accept his guidance, or face closure. 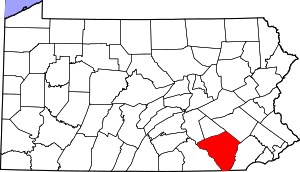 AMBLER, PA — One local man will be cooking up quite a bit of national attention for the area now that he’s earned a spot as a contestant on a new reality show this summer. Chad Rosenthal, 37, of Ambler, has been chosen to appear as a contestant on the Food Network’s ninth season of the “Food Network Star” competition, which begins airing Sunday, June 2, at 9 p.m. 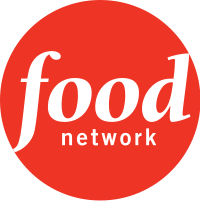 Featuring celebrity judge mentors Alton Brown, Bobby Flay and Giada De Laurentiis, the show pits 12 contestants against one another in a series of weekly challenges for a chance to earn their own television show on the channel. Born and raised in Upper Dublin, Rosenthal said he’s putting his hopes for stardom on his highly popular barbecue comfort food-style menu. The owner of the former Rosie’s restaurants in Jenkintown and Ambler said patrons said his face belonged on the small screen. For three years, Candice Glover traveled from her South Carolina home to try out for American Idol. Thursday night, her efforts paid off. She became the 12th winner of the Fox singing competition, beating out Kree Harrison to become the show’s first female winner in six years. Hold on chust a minute: “Amish Mafia” fans won’t get to see Lebanon Levi’s “office” or his crew of enforcers’ stomping grounds after all. Producers of the hit “reality” show have threatened legal action against Bird-in-Hand-based The Amish Experience, which had plans for an extensive tour of the show’s local sites, beginning this month. Many scenes for the Discovery Channel series — which just wrapped a second season of filming — were shot in Lancaster County. The tour, its organizer said, would have included a behind-the-scenes glimpse of filming locations while debunking the show’s portrayal of a group of violent Amish protectors. LOS ANGELES — Jackson out. Randy Jackson, the lone original “American Idol” judge, says he won’t be returning to the Fox talent competition. The 56-year-old record producer and bassist called the experience a “life-changing opportunity.” He said he’s leaving “Idol” to focus on his record label and other business opportunities. The interview is funny but after Ryan is done watch Sheinelle Jones laugh so hard she cries, snorts and they go to break. Ryan has a new reality show on E! which he is promoting, hence the interview. The Mariah Carey–Nicki Minaj feud might not be enough to rescue “American Idol”s” ratings. Fox‘s singing competition entered its 12th season Wednesday with three new judges and sharply lower viewership. An average of 17.8 million total viewers tuned in to the two-hour premiere, slumping 19% compared with last season, according to Nielsen. FORT WASHINGTON — If the first two episodes of the new Season 12 of “American Idol” are any indication, the show is looking to make big stars of two talented female singers who are great performers and have big personalities. That would be new judges Mariah Carey and Nicki Minaj. That’s because the episodes, shown Wednesday night in special sneak peek theater presentations for an invited Philadelphia-area crowd and at eight other cities nationwide, focused far more on the show’s new judges than on any – or all – of the contestants. The new season of “Idol” starts with the two-night premiere on Fox at 7 p.m. Wednesday-Thursday. Will Jersey Shore Ever Be The Same After Sandy? SEASIDE HEIGHTS, N.J. — It is one of the icons of America, the backdrop to a thousand stories — the place where Tony Soprano”s nightmares unfolded, where Nucky Thompson built his “Boardwalk Empire,” where Snooki and The Situation brought reality TV to the ocean’s edge and where Springsteen conjured a world of love and loss and cars and carnival lights and a girl named, incongruously, Sandy. But after the storm of the same name passed through last week, the seaside towns of the Jersey Shore, a place that popular culture has picked to exude Americanness, have been upended, and some of the boardwalks have been pushed into the sea. And those who live there, those who spent their childhood weekends there and those who experience its stories from afar are asking different versions of the same question: What happens now?